2018 Audi Q3 – price, specs and release date | What Car? 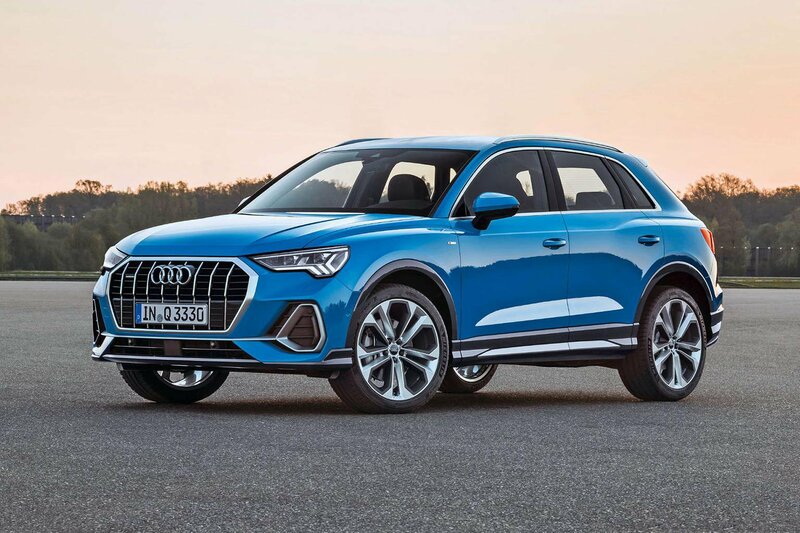 Not long ago, if you wanted the funkiest and most youthful of Audi’s SUVs, you headed straight for the driver’s door of the Q3. 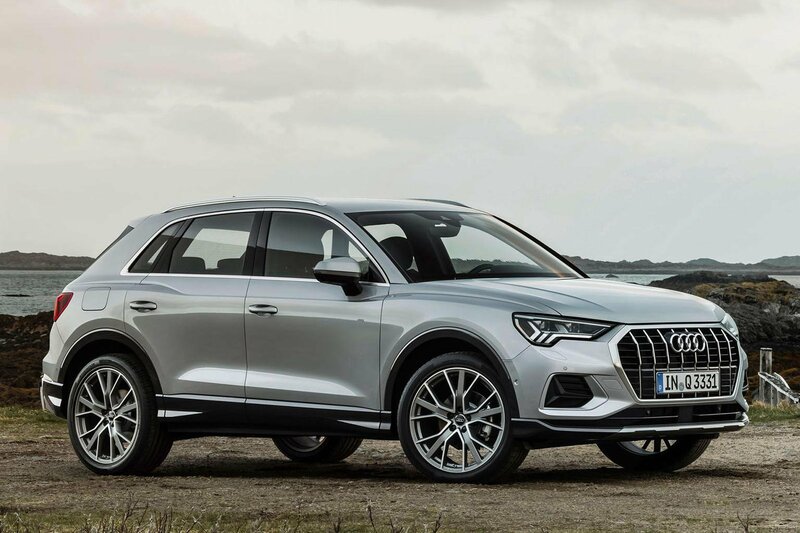 While the larger Q5 and Q7 could be seen as being more ‘middle-aged’, the Q3 felt like it had dirty trainers and a Snapchat account. It was the young person’s Audi SUV. But what’s this? That role has now been usurped by the even funkier and smaller Q2. This means the Q3 has to go and forge its own path. In short, it has to grow up. 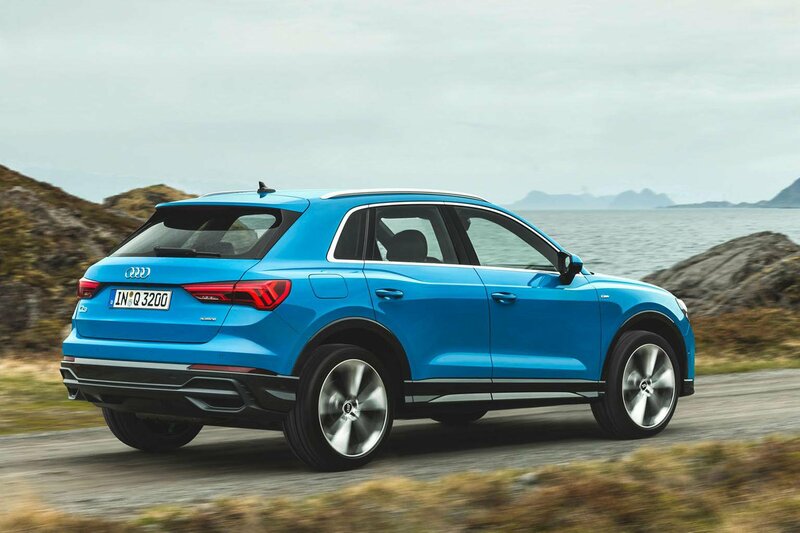 Well, growing the Q3 has certainly done, because this second-generation model is longer and wider than its predecessor, promising more space inside. The boot has a capacity of 530 litres with the rear seats up, so you should get more into it than in either the BMW X1’s or Volvo XC40’s, although the Volkswagen Tiguan’s boot is bigger still. That said, a complement of family holiday luggage or an adventurous afternoon at the garden centre shouldn’t be a problem. 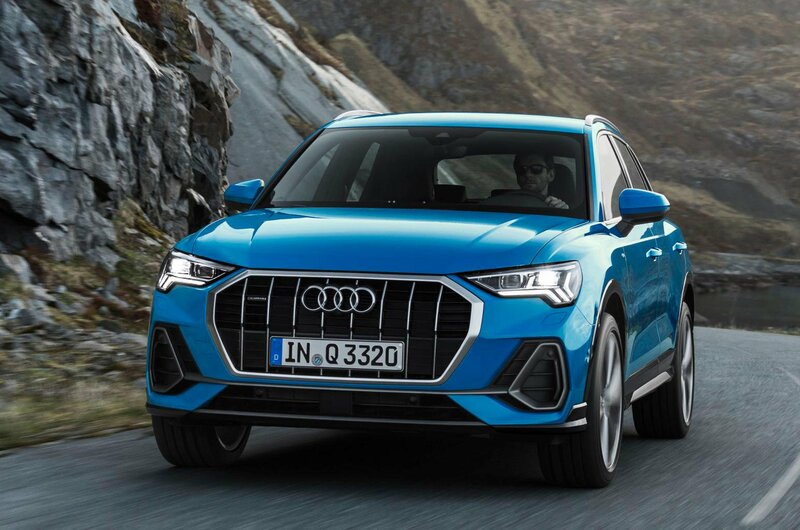 In a bid to make this SUV appear more mature, Audi has given the Q3 the same bold grille as the larger Q8, plus slim LED headlights and a more angular, aggressive look than the previous model. 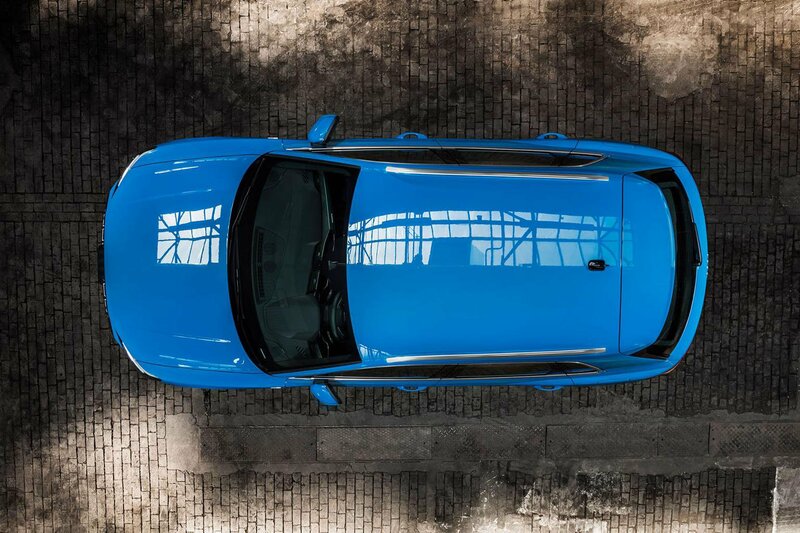 Customisation is still an important point; buyers can opt for a contrasting paint finish for the car’s lower section – to emphasise its toughness – and alloy wheels of up to 20in in diameter. Go for S line trim and you’ll get a sporty bodykit, too. There are new family-friendly touches inside. Four USB ports – two in each row – should ensure that everyone’s mobile phone stays charged, while there’s also a standard 12V socket in the rear. 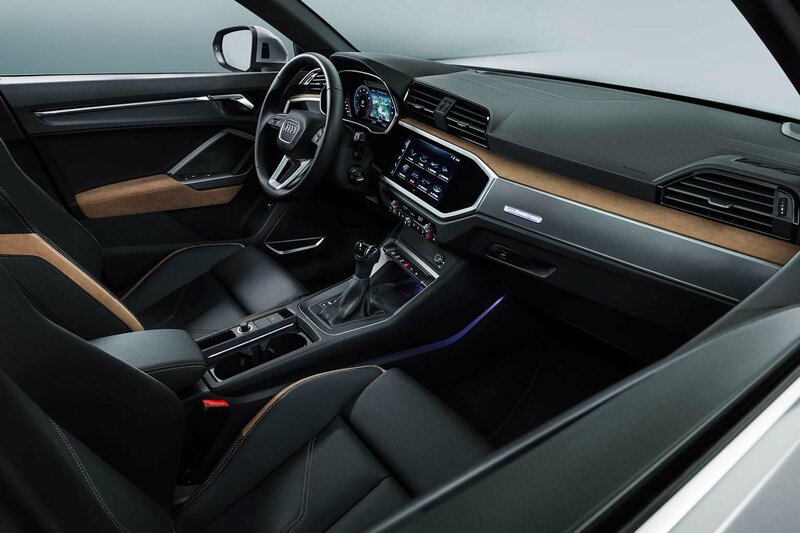 Audi has done away with analogue dials in all versions, so even entry-level Q3s get a 10.3in digital screen with Audi’s Virtual Cockpit display, which places extra information including the sat-nav map (if you specify it) directly in front of you. 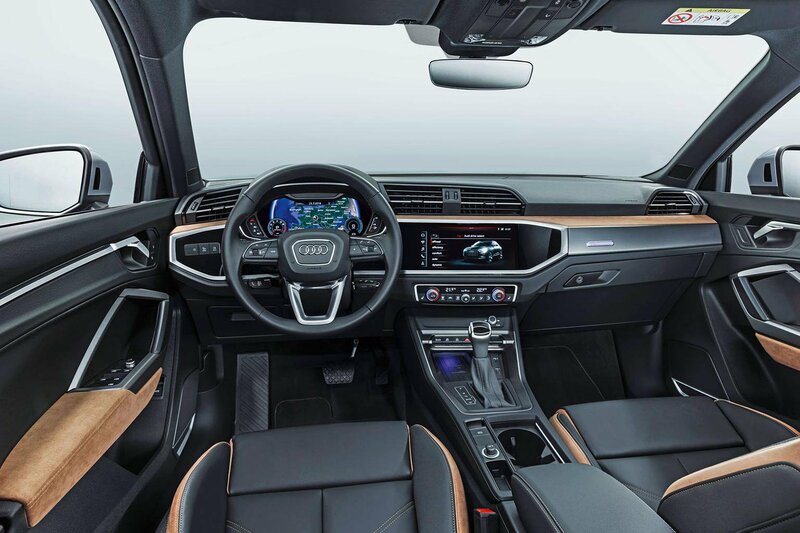 There’s an 8.8in touchscreen on the centre console for infotainment, and our experience with Audi’s latest MMI system suggests that it should be graphically impressive, although smaller icons could be tough to hit on the move. 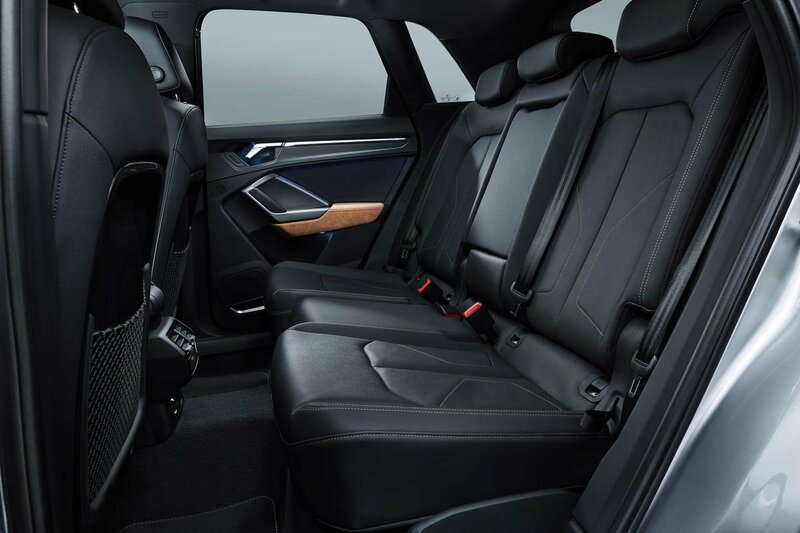 There’s no second screen to alter the climate, like in Audi’s most recent saloons; that function has been left to traditional buttons. 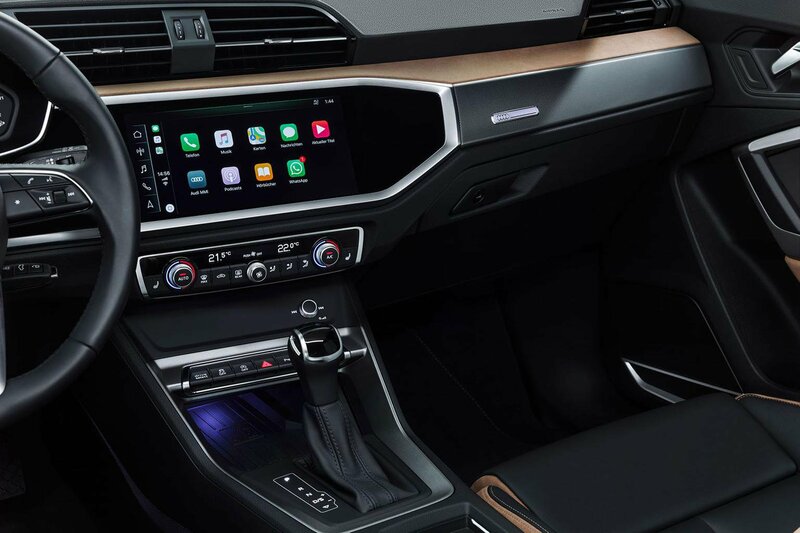 With all the option boxes ticked, the Q3 features a 12.3in digital instrument display and a 10.3in infotainment screen, with advanced voice control that can understand natural speech (think Amazon’s Alexa system on wheels) and Google Earth navigation. Elsewhere, the rear seats can slide forwards and backwards, tilt and be split in a 40/20/40 configuration. A height-adjustable boot floor and an electric tailgate are standard. (40 TFSI and 45 TFSI). 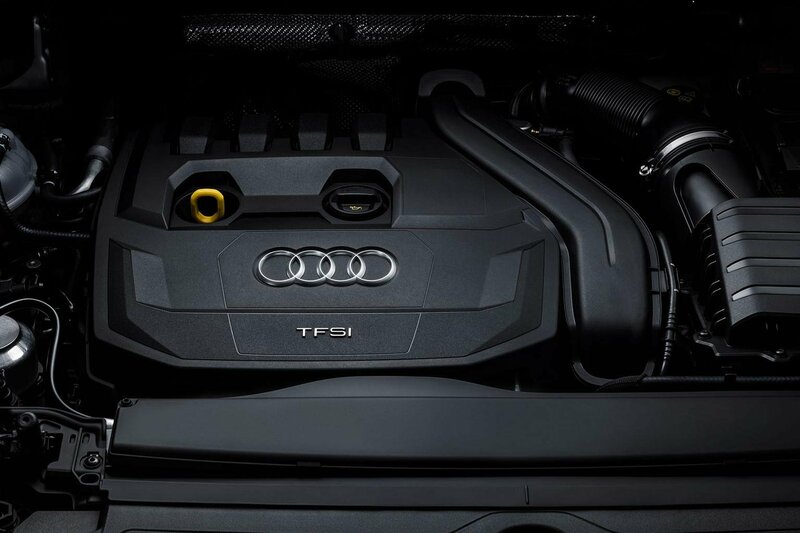 The 35 TFSI features cylinder deactivation, so it can shut down two of its four cylinders when you’re cruising to save fuel. Those wanting diesel power have a 2.0-litre engine to choose from in 148bhp (35 TDI) or 187bhp (40 TDI) forms, with the latter arriving soon after launch. Gearbox options are a six-speed manual or a seven-speed automatic, and Audi’s quattro four-wheel drive system is offered on most models. Adaptive dampers are available as an option, with S line cars getting a stiffer sports suspension set-up. Drivers who specify Audi’s Drive Select system in the options list can alter the accelerator response, steering and gearbox characteristics via six modes – one of which is dedicated to off-road driving. Available driver assistance systems include adaptive cruise control with lane-keeping assistance, blindspot monitoring, a self-parking system and a 360deg camera. Automatic emergency braking is standard, as is lane departure warning. Okay, you might be thinking, what’s this going to cost me? Official prices have yet to be revealed, but given the extra space and technology, we’d expect an increase in the current car’s £27,915 starting price to closer to £31,000. That would make it considerably more expensive than the XC40 and X1, although, as with the previous model, the new Q3 is likely to hold onto its value very well, meaning rates would be competitive if you’re buying on a PCP finance deal. Discounts should start to appear fairly quickly and, as a benchmark, What Car?’s New Car Buying service can currently net you a 9% saving on the rival X1.